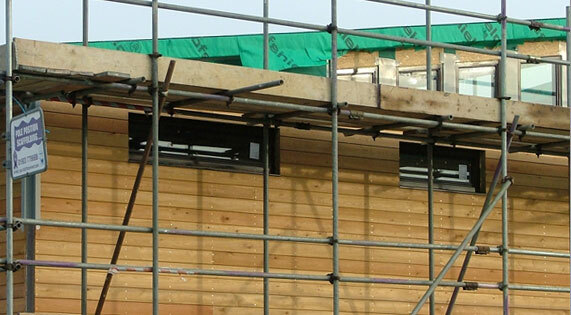 Cladding works to the exterior of the development. 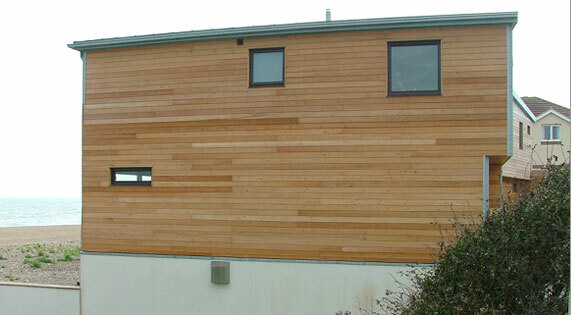 Siberian Larch was used in this harsh but desirable location. Unusually shaped top windows fitted into custom built apertures. 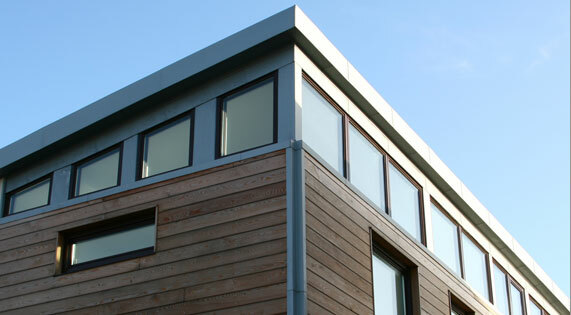 Finished externally with zinc surroundings to give a high spec and maintenance free finish. Inverted corner details also on the cladding. Looking down on the custom made Sapele and Russian Birch treads. Pan head bolts create a 'pathway' down the stairs. 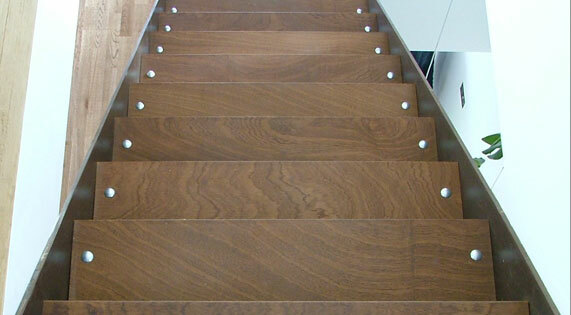 Custom made steel stair strings with hand machined Sapele and Russian Birch wooden treads. Treads fitted with chrome pan head bolts and cap nuts. 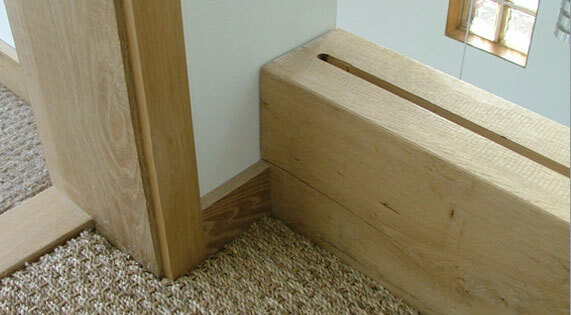 Custom made solid oak thresholds, door lining, skirting and architrave. 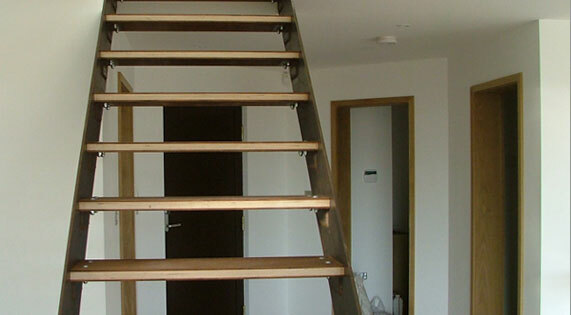 Large oak timbers which were routed to accommodate 12mm toughened glass to act as a stair balustrade. 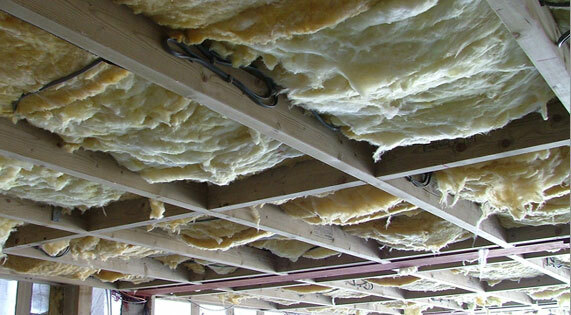 Studwork to create a cavity for the Celotex insulation on the inside of the single skinned walls around the building. This also create fixings for the plaster board. 4" x 2" framework construction to form ceiling between steelwork and precast flooring. 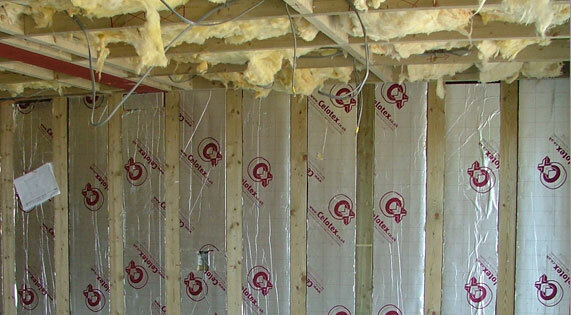 Insulated prior to be plaster boarded. Void space created for inset lights. 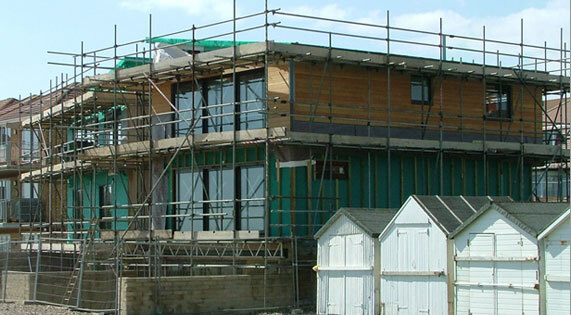 Installation of wooden framed windows with aluminium outerface. 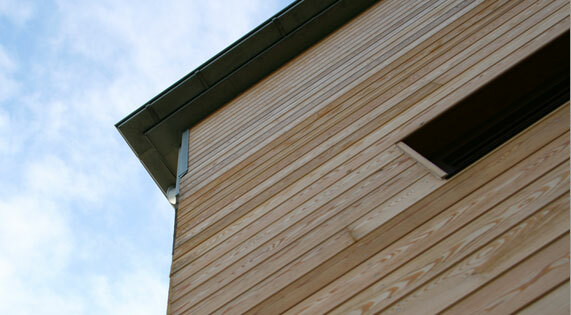 Cheeks and heads in Siberian Larch to match the cladding and give a stunning appearance.